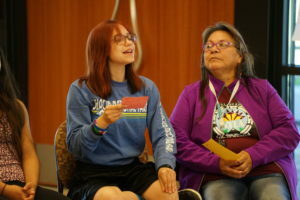 In 2014, NYLA expanded our leadership training to include younger Natives through the Youth Are Leading Now culturally based leadership program. This program adapts the NYLA Leadership Society curriculum to mobilize middle and high school aged Native leaders in the Northwest. 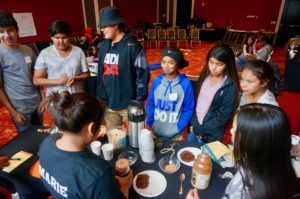 We have been working with Tribal Youth Councils to help youth build their cultural organizing, self care, and leadership capacities. We offer this program through our partnership with Affiliated Tribes of Northwest Indians (ATNI) Youth Committee. ATNI is a regional organization comprised of tribal leaders in the Northwest dedicated to the promotion of tribal self determination and sovereignty. To date we’ve successfully brought the Youth Are Leading Now program to numerous tribal communities across the Northwest.